1) Although the inclement British weather doesn’t stop all external work it is worth checking whether you can go ahead regardless of the weather. Helifix systems cannot be undertaken if the outside air temperature is +4 degrees Celsius and falling. 2) It’s important to consider whether we will be able to access all areas that need treatment from your property? If not then you may need to get access permission from the relevant neighbours. 4) If the Damp Proof Course (DPC) is carried out externally, due to internal fixtures (fittings/plumbing etc) sometimes this work can be difficult due to raised flower beds or may even encroach on your neighbours’ party wall. This will be detailed in our report/quotation /plan and can be discussed with our Contracts Office at the time of arranging the works. 5) If work will need to take place on the pavement will the pavement need to be closed? Anything that stops pedestrians using the footpath will require a pavement closure; If you think that this applies to the external work you are considering then you need to speak to the local authority and seek permission to close the pavement for the duration of the works. The permits for pavement closure vary in price from district to district and applications need to be made several weeks in advance of the closure. It’s worth investigating how much notice you need to give your local council before agreeing a definite work date. 6) Will you need to arrange for cones, signage and barriers? If you do have to close pavements and redirect pedestrians then you need to make sure that the correct signage and barriers are in place. The Street Works and Road Works legislation deems that all reflective signs must conform to BS EN 12899-1 or BS 8442 and this same legislation applies to cones; Types of barriers and sizes of cones depend on the type of road and the speed limit; if the correct type aren’t being used then the local authority can suspend work until the legally required systems are in place. Similarly, if pavements are closed and pedestrians are being rerouted then you may need to use pavement ramps to allow safe passage for anyone using a wheelchair or pram. It’s likely that you will have to display a copy of your closure permit in the work area too; make sure you read the small print to see what your local authority requires. 7) If the work you are considering requires scaffolding of any sort then it is important to check whether you are being asked to arrange this, or whether your contractor will arrange this for you. 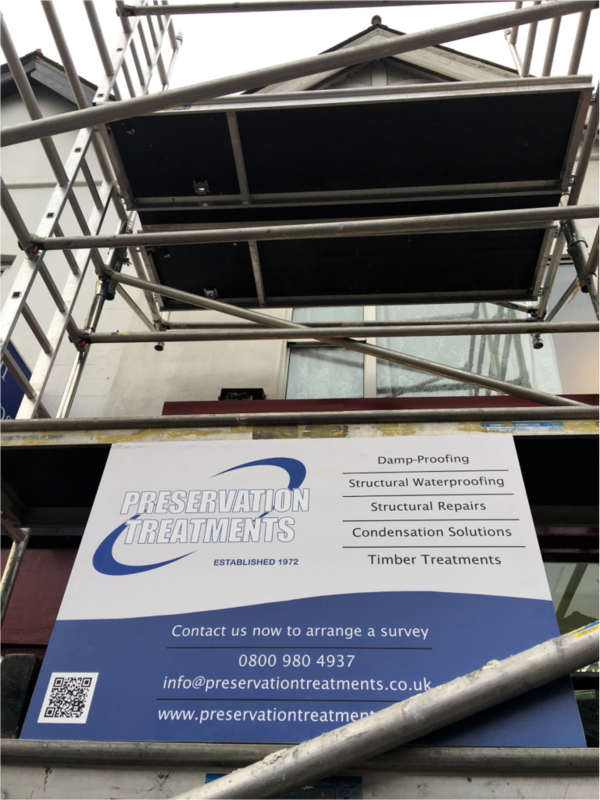 There are a variety of types of scaffolding such as mobile Cantilever Scaffolding and Tower Scaffold/Podiums and it is important that they are erected safely by a qualified professional. Similarly, anyone using a ladder should be PASMA trained. When you are discussing the work taking place, it is worth asking if your contractor can arrange this for you. All of this may sound like hard work but planning and preparation are key to any form of external work. 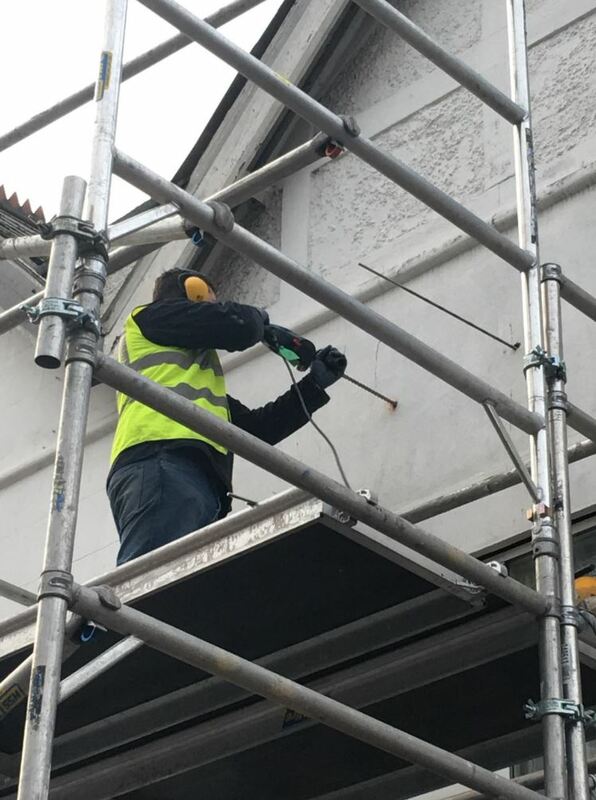 If you would prefer for scaffolding and barriers to be arranged for you why not mention this to the surveyor who comes out to look at your property?